Exceltic Sport is a 100% natural spray-type body massage oil, only formulated with essential oils and high quality vegetable oils. Specially designed for athletes. It is the natural solution to provide a pleasant sensation of relief and comfort in your muscular and articular areas. 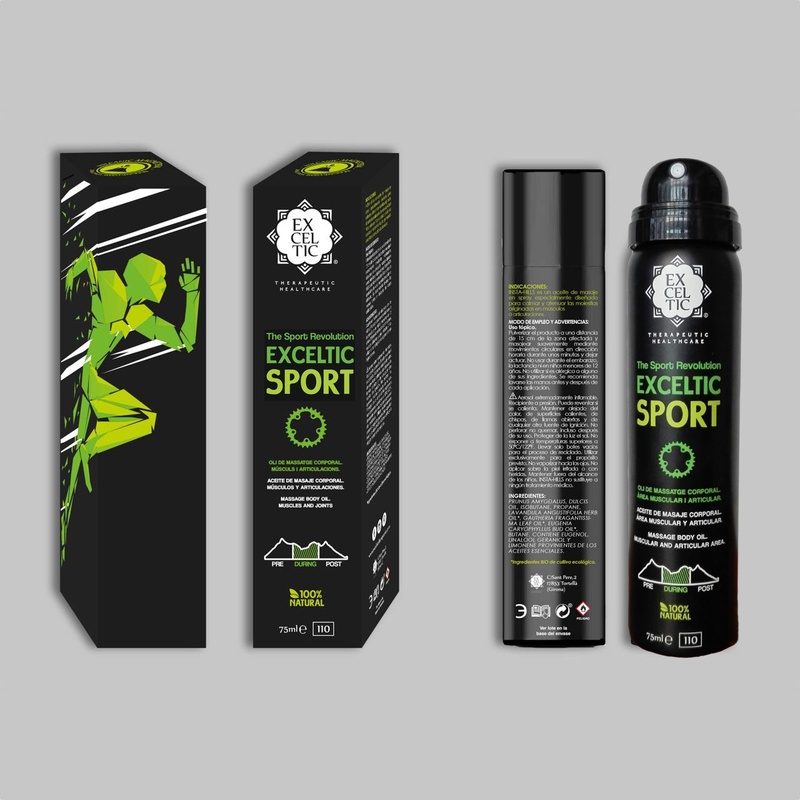 EXCELTIC SPORT is a spray-type massage oil specially designed to calm and mitigate the discomforts that originate in the muscular and articular areas. INGREDIENTS: Prunus amygdalus, dulcis oil, isobutane, propane, Lavandula angustifolia Herb Oil(*), Gautheria fragantissima Leaf Oil(*), Eugenia caryophyllus Bud Oil(*), butane. Contains eugenol, linalool, geraniol and limonene, all form essential oils. (*)Ingredients BIO from ecological agriculture. Spray the product at a distance of 15 cm from the affected area, perform an gentle massage by circular movements in clockwise direction and let it act. Don’t use in pregnant or lactating women or in children under 12 without consulting an expert or professional. Don’t use if your are allergic to one of its ingredients. It is advisable to wash your hands after use.